Korean readers, there's good news tonight... or more accurately tomorrow afternoon. 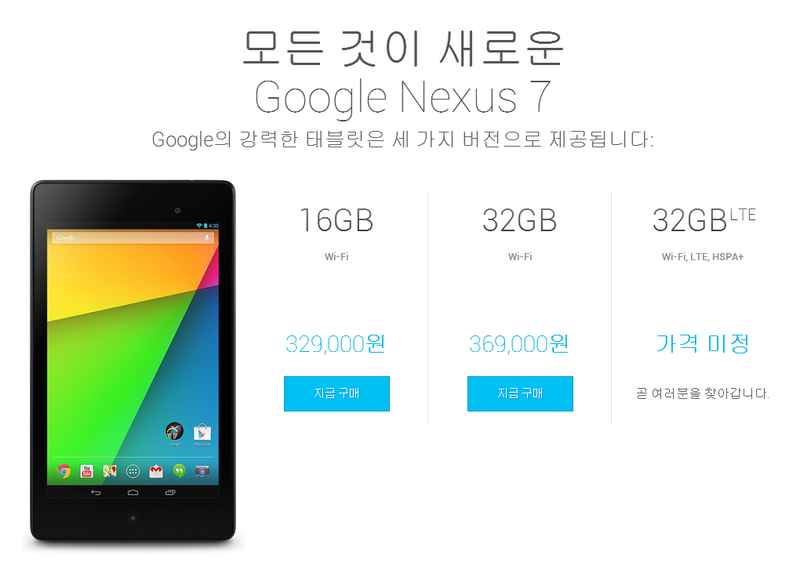 The new Nexus 7 has gone on sale in the South Korean Google Play Store, or at least the WiFi version has. 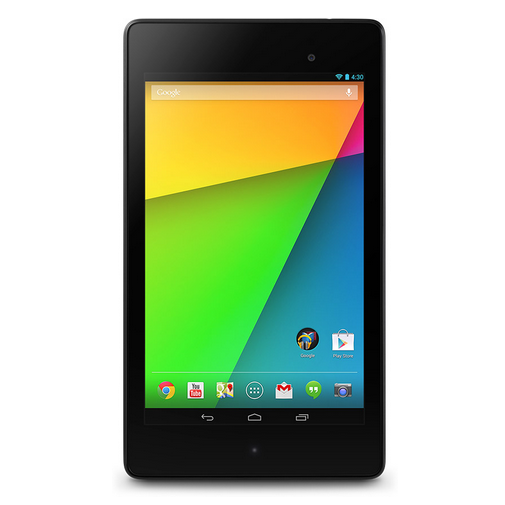 You can pick up a 16GB tablet for 329,000 won, which works out to just over $300 USD. The 32GB model is going for 369,000 won, about $340. According to this page, the LTE version that just launched in the US is coming soon, though there's no price. South Korean readers can also pick up an official sleeve case from manufacturer ASUS, although it's probably best not to. It's just a soft sleeve with no real case functionality, and you can probably find a better solution for less. South Korea is only the second Asian country to get the new Nexus 7 officially distributed via the Play Store after Japan... which has got to make readers from Taiwan (home turf of ASUS) grind their teeth. Australia was also scheduled to get the new tablet today, but we're seeing nothing new down under so far. Hopefully it will pop up later.